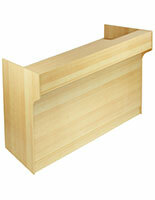 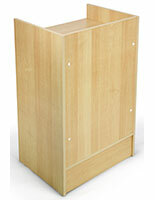 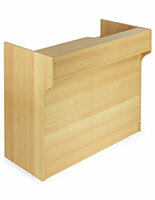 This open front POS corner display features economy particle board construction and a light maple laminate finish. 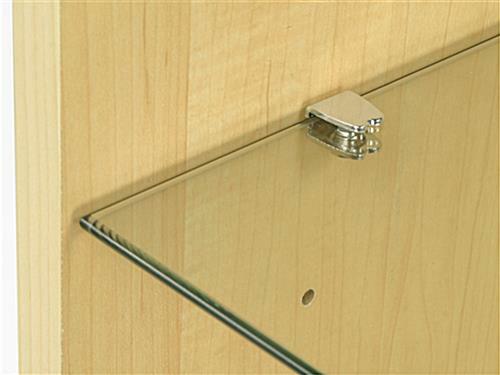 The 38" tall countertop is 18" wide and has an angled design that allows it to be used alone or in conjunction with other cashwrap fixtures. 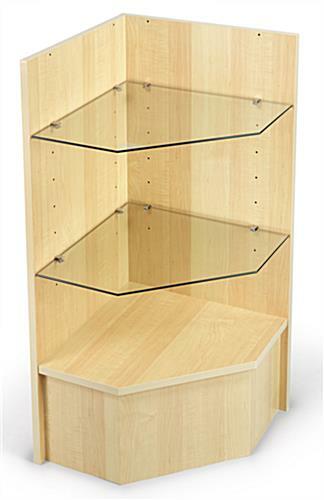 The 3-shelf POS corner display is designed with an elegant toe-kick that raises the fixed bottom shelf to 10". 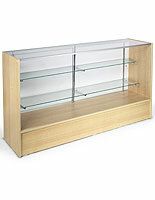 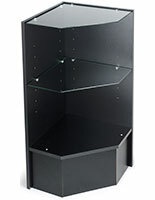 Each versatile retail checkout cabinet comes with two adjustable height tempered glass shelves. 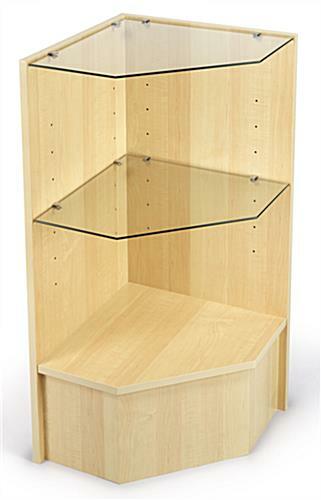 This high visibility POS corner display's design allows customers free access to merchandise. 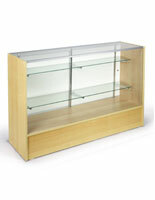 The maple finish fixture's tempered glass shelves are impact-resistant and safer than standard annealed glass. 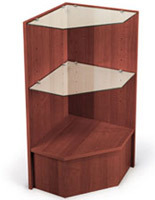 This versatile economy corner display's standard height allows it to match perfectly with other fixtures to create a custom checkout fixture as desired. 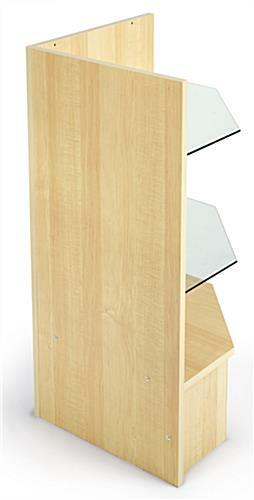 The easy to assemble point of purchase merchandising stand is a perfect choice for any retail or commercial environment.